We realize you have a choice in a dental provider and we thank you for choosing Everett Dental Associates. We will provide you an opportunity to maximize your dental health and well-being in a caring, comfortable and nurturing environment. Drs. Covino, Dr. Serrano and their staff are dedicated to providing you with a pleasant visit and results that you’re confident and proud of. 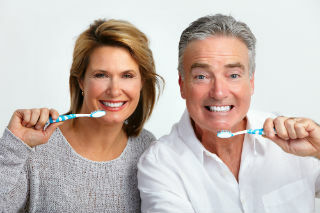 One of our primary goals for all our patients here at Everett Dental Associates is to keep patients informed of the current innovations of dentistry. We believe an important step to achieving and maintaining proper healthcare is through patient education to make you feel comfortable about decisions in our treatment recommendations. We continuously stay current in all aspects of dentistry delivering the "Standard of Care" for our patients by attending numerous conventions/meetings and educational seminars/courses. As active members of the American Dental Association and the Massachusetts Dental Society we are able to bring all of their resources to our practice. We urge an open communication to ensure that you remain well informed, engaged and involved in understanding the rationale for each treatment option. This will help with decision making every step of the way. We use up-to-date state-of-the-art technology (i.e. digital xrays, intra-oral cameras, diagnostic software to expedite treatment planning, to aid in visualizing and understanding not just the treatment options for a given procedure, but your overall oral health in general. We promote a transparent, cooperative, and interactive environment to provide you with a satisfying experience throughout the whole process of going to the dentist. For your peace of mind, we strictly adhere to current requirements and recommendations by OSHA (Occupational Safety & Health Administration, the (EPA) Environmental Protection Agency, and the (CDC) Centers for Disease Control for our infection control protocols.